Man did I dig this release within the first thudding death metal riffs of opening track ‘Burn’? Swedish death metallers Tormention have ripped out some very fresh riffs from their local graveyard, and each detonates with aplomb. This is their second full length, following on from 2012’s ‘Hunger for Flesh’. 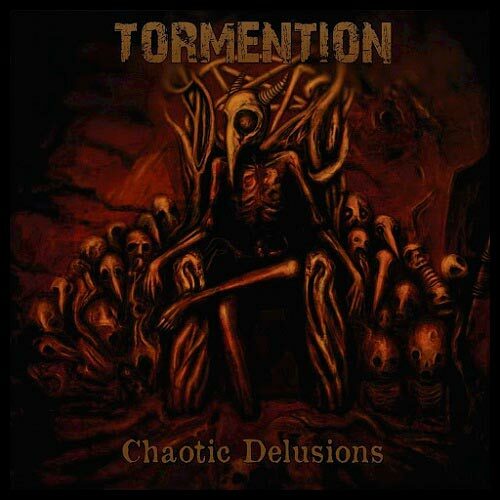 Tormention are Swedish death metal, but not as you might think. There is no sign of the traditional HM2 pedal, these riffs are surgical and chunky American death style riffs rather than the chainsaw Entombed worship you’d expect. It’s remarkably refreshing to hear that these days, particularly with the modern death metal band’s penchant for being ‘retro’. Everything needs to progress at some point, and Tormention throw everything at the wall of mediocrity to smash through with force and passion. Take the glorious Eastern acoustics of ‘Legion’ that lay the groundwork before dense chugging reminds us how satisfying a thick chunky riff can be. It is a monster of a song, and is probably one of my most played tracks from the album. Blastbeats pepper a landscape wrought of a Cannibal/Deicide brutality with a sense of pace that speaks also to their Swedish brethern in Hypocrisy. Tormention aren’t necessarily reinventing the wheel, but what they are doing is taking that wheel and spinning it in their own unique way. The production is great, adding to each riff a surgical precision and clarity. The vocals switch between a rabid scream and a more guttural roar, both of which match the music just right when they are utilised. ‘Chaotic Delusions’ is a death metal record full of variety, hellish riffing and crushing brutality. It’s been one of my surprise finds of the year, and it’s challenging Shrapnel Storm as my favourite ‘who?’ death metal record of the year. Razor sharp, bowel rattlingly heavy and brilliantly written. SUPPORT!